Image from love & olive oil. I am going to have to admit I was just to lazy to photograph these yesterday. It might have something to do with the heat and being 36 weeks pregnant. My brother and I are both huge fans of Cadbury Eggs (I like both mini eggs and creme eggs). So Easter candy makes me happy. 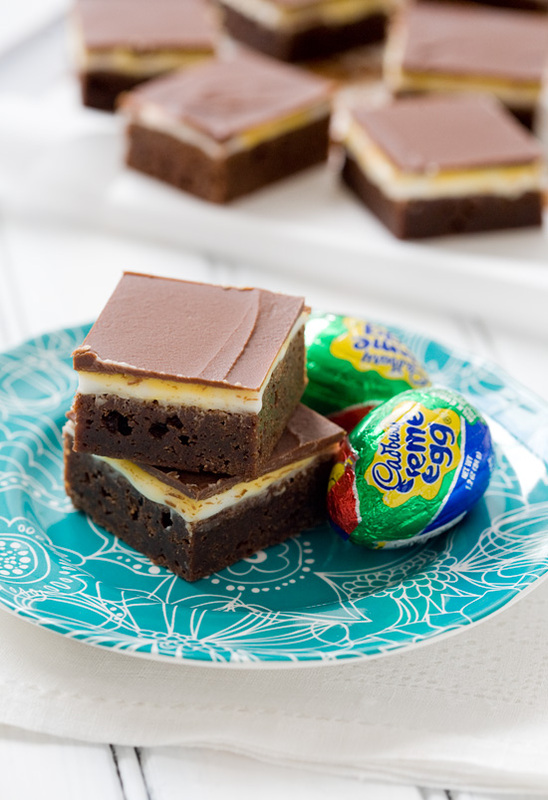 I fully understand that some people are not big fans of Cadbury Creme Eggs, but for those of you who are, I found this recipe for Creme Egg Brownies while on Pintrest the other day…so I made a batch this weekend. They are quite tasty. I am glad the beloved Easter candy inspired these wonderful brownies. I will say, I think I might prefer the Cadbury Egg itself…but in an of themselves they are delicious!